2yr. Old Girl Goes On Epic Rant About Crappy Pre-Schools And It's Hilarious! 2yr. Old Girl Goes On Epic Rant About Crappy Pre-Schools And It’s Hilarious! 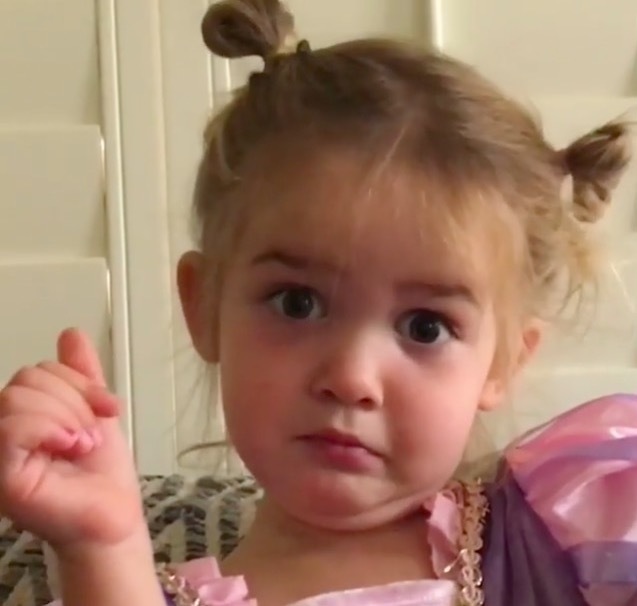 This little girl’s astute and sassy social commentary is perfect. That’s why her videos go viral. This one has already racked up 2.3 Million views. She wanted to go to Law school, but her mom signed her up for Preschool instead. Of course, that’s because little Mila is only 2 years old. Her mom, Kaitlyn captioned the uploaded video, ‘Mila’s not really impressed with preschool…’ followed by several emojis. You can tell from Mila’s expression alone that it’s true. She tells you all about it wearing a fancy princess dress. 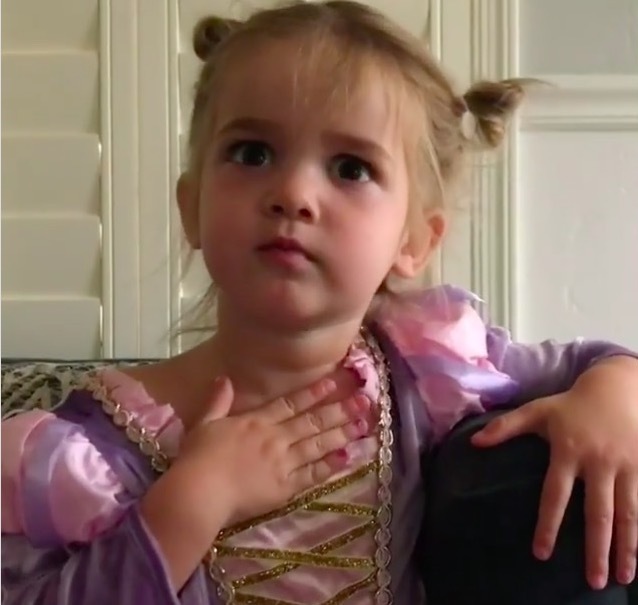 Mila’s adult vocabulary and her mini Drama Queen mannerisms are what make these videos so hilarious. Her stunned expression when she sees all the chaos is the best. And then the Dave incident. Dave who was peeing on his friends, ‘triggered’, then chased the teacher with scissors definitely needs some discipline. It was up to Mila to diffuse the situation. This girl isn’t just articulate, she can think and act quickly. Her brilliantly executed ‘NAP TIME’ shout did the trick. She’s grateful to have survived her first day. And so are we so that we could hear the harrowing tale. The next 14 years of school ought to be entertaining. As will the following 4 at any college. Looks like Mila’s not keen on putting up with bad behavior like what happened at Mizzou or Evergreen State. We need more Milas in this world. So, let’s raise a few.